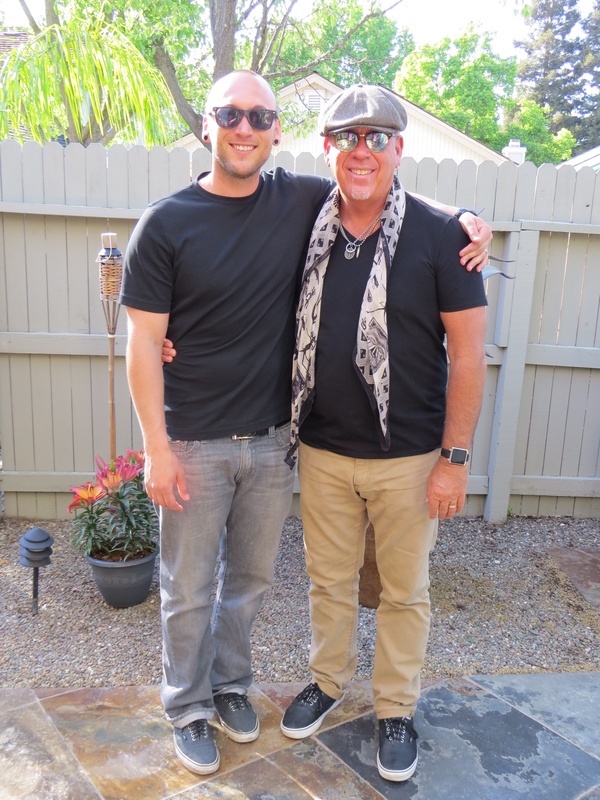 I was recently asked by a friend, who also happens to be a professor and well-known education, tech and media consultant, how I managed to raise such a great family of outstanding young men. It wasn’t just a polite or shallow question based on a one-time get together. He knows them well and has spent a great deal of time listening and interacting with them…not just viewing their online media persona. I married their mother. Good move. * The second most important decision you will ever make is the decision about who you marry. I say second, because the first is, “where will you acquire your values?” I recommend you marry someone who shares your core values, beliefs and philosophy of life, especially when it comes to raising and educating children. Shared values is what helps hold you together when facing the storms of life. Embrace it together. 2. We tried to instill the right values in them. * Everyone of us draw our values from someone, whether parents, teachers, books or the internet. Who are you getting yours from, and why? Values and convictions are meant to protect and maintain the most important relationships in your life. If you are a husband and father, that should be your wife and children. Your values will help determine all of your decisions about life. Of course, actually living by these convictions, may cause you to lose some less important relationships because you make that choice. Culture is produced by values, vision and conviction—chaos is produced by a lack of them. Before you make the choice, examine the outcome of the lives, families and nations of those you intend to emulate. Why would you want to imitate the lifestyle of people you don’t want to end up like? 3. I taught them to think for themselves. * Even when you grow up thinking something is right, there is nothing wrong with questioning and examining what you think you know, or why. Just because you were taught something doesn’t mean its true. Of course, it doesn’t mean it isn’t either. I have found that some values are eternal, some are merely traditional and cultural. Truth will only get brighter and stronger under cross-examination. Ideas are powerful things. The way to communicate ideas, especially to children is to read them the right books. We read to them, and made them read and write continually. Teach your children to think for themselves without turning them loose into a minefield of poison and noxious ideologies they are not mature enough to navigate. After all, they are your children, not someone else’s…or the states. Don’t feed them to the crocodile of secular humanism or the leviathan of religious buffoonery. They should be able to articulate and defend their own convictions and values, and look you in the eye as they do. 4. I trained them and I trust them. If you have trained your children well, they will be kind, generous, open to honest dialogue and not intimidated by anyone. Teach them the value of hard work, compassion for others, sacrifice, and most importantly the value of real covenant relationship…with God and each other. Then, there’s only one thing left to do—trust them.